Angkor Wat International Half Marathon 2016 – Runners' Awe | JustRunLah! The 21st Angkor Wat International Half Marathon is back again this year on the 4th of December 2016! 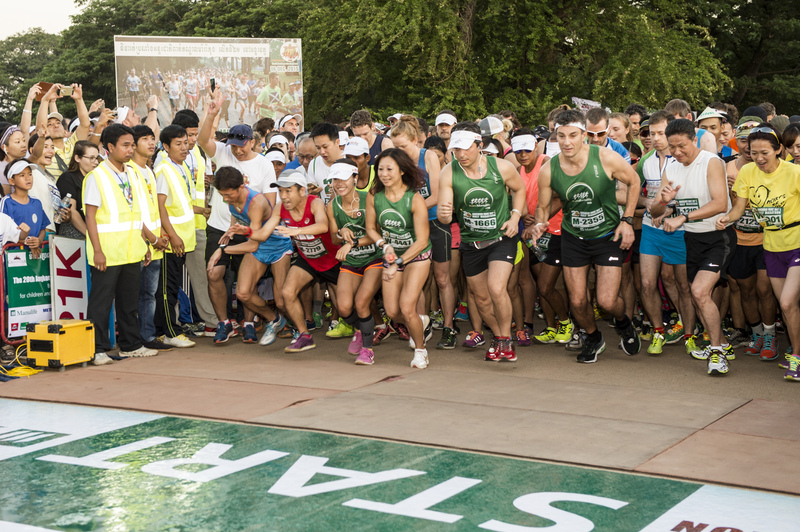 Set to take place in the largest religious monument in the world – the remarkable Angkor Wat, this is THE race that has made it to the top of every runners’ bucket list. 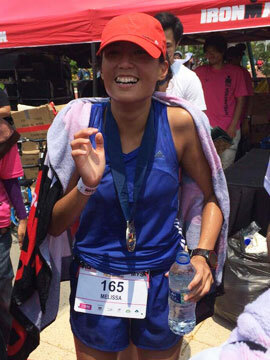 AWHM is well known as one of Cambodia’s largest fund-raising events. Its underlying aim of this event is to bring together families and communities, and encourage them to live a healthy lifestyle through running. Manulife, one of the world’s leading financial services providers, is the principal sponsor for this year’s AWHM, showing its continuous support for this monumental event. Manulife’s 5-year sponsorship which began in 2015 reflects the company’s dedication to raise awareness of living a healthy lifestyle and its commitment to building a stronger Cambodia, where peoples’ futures, and those of their children are secured and protected. Here are the top 3 reasons why YOU should be part of the 21st AWHM 2016! Built in the 12th century by King Suryavarman II, Angkor is one of the most stunning archaeological sites in South-East Asia. It is so rich in history, culture, religion and it also holds great archaeological, architectural and artistic symbolic significance. An array of temples built by the Kings of the Khmer Empire from the 9th – 13th century, this UNESCO heritage site seemingly brings you through time. 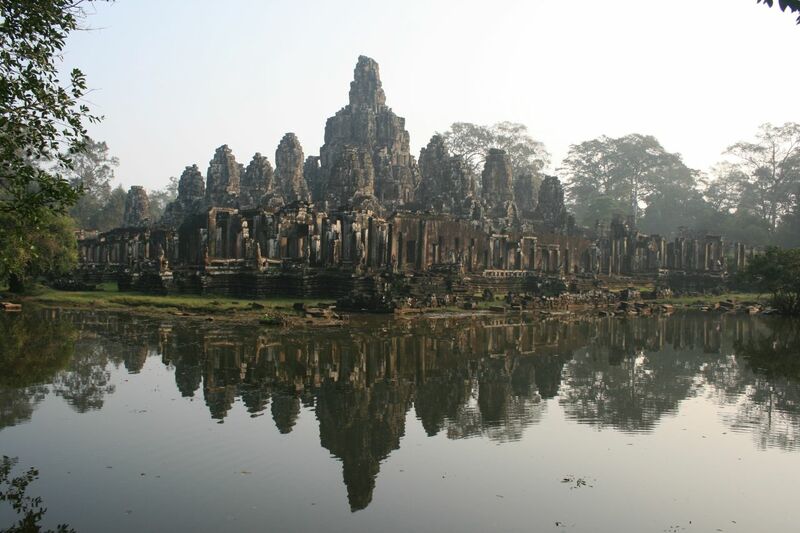 The scenic route will lead runners through several must-see beautiful historical sites – the Bayon Temple (the main temple during the Khmer Dynasty), the famous Angkor Wat and the Ta Prohm Temple. 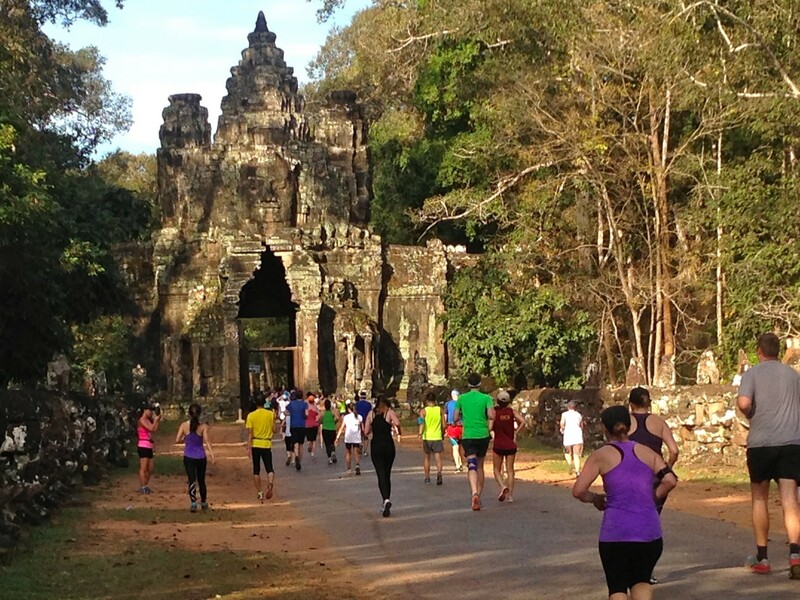 Angkor Wat Half Marathon is fast becoming one of the largest races in the region. With nearly 9,000 runners from 75 countries participating in 2015, this has become an outstanding race to meet people who are as passionate about running as you are, from different corners of the world. Explore the magnificent ruins with people who have great running stories! #3 Run for a good cause – Support the Underprivileged! 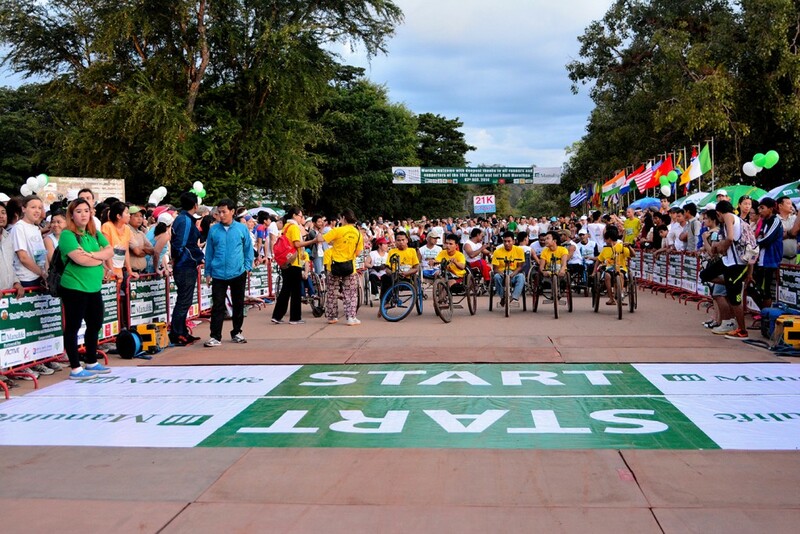 The Angkor Wat Half Marathon is organised to raise relief for victims of antipersonnel mines in Cambodia. Attended by many landmine victims, this race serves as an avenue to give the victims courage and hope, as well as to appeal to the world to support the ban on the use of antipersonnel mines. Entry fees and additional financial support obtained through this race are used to foster independence among landmine victims by helping provide prosthetic limbs and social reintegration programs. Additionally, in 2015 alone, a grand total of $12,750 was collected in donations! These funds were donated by fellow participants of the race and donated to the Angkor Children Hospital, Cambodian Trust (Prosthetic limbs support), Cambodian Red Cross, CDAF (Sports for disabled people), Handicap International, and even some local NGOs for orphans. So what are you runners waiting for? If you have not signed up yet, SIGN UP NOW!